I needed this again. I’m addicted to this gyro meat! I spread a little bit of hummus, tzatziki, and their hot sauce on the gyro strips and go to town. Noms! 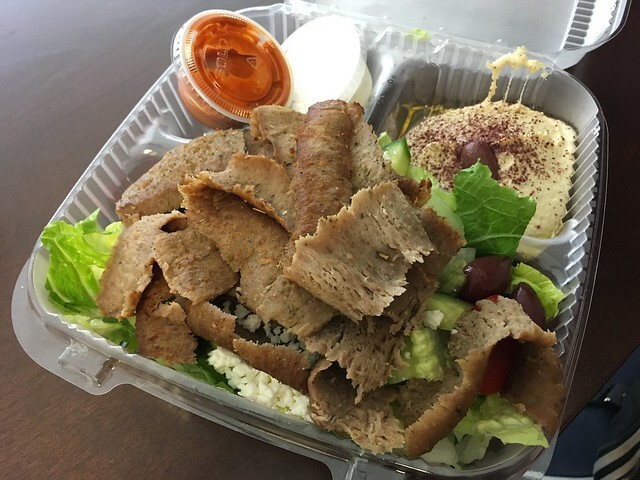 This entry was posted in Ayola and tagged food, gyros, Mediterranean, mediterraneanfood, tzatziki by vicentesf. Bookmark the permalink.